Nothing beats a good, easy recipe, right? 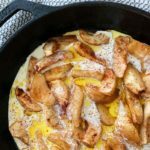 This recipe is inspired by my grandma’s baked apples. Even though I was fairly young when my grandmother passed away, I still remember eating her baked apples. 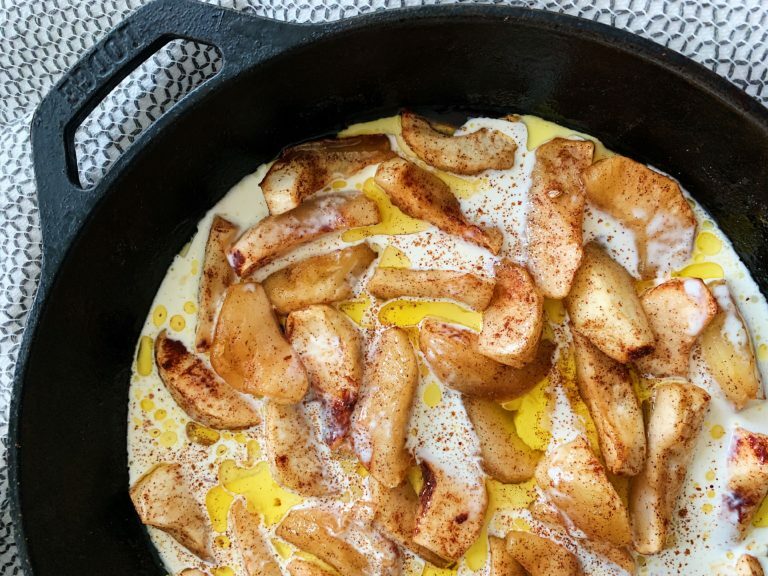 They were simple, spiced apples baked in butter and covered in half and half. My grandma was a total apple baking wizard. One of my favorite memories of her was watching her peel apples. She could peel the entire apple in one piece! I remember staring at her, like she was some sort of wizard. Clearly, this was something I had to aspire to. She would hold up the peel, and it looked like a long coil. It was incredible. Isn’t it funny the things you remember as a child? Clearly, I still need to work on my one-piece peeling skills. I don’t think she had a recipe for what she made, so my tastebuds are my best guess with this recipe. And from what I can remember, they taste just like what I remember eating at her house. They are warm, they are luxurious, and they are comforting. So grab a nice blanket and a good book, because things are about to get real cozy around here! When it comes to baking, I believe that even the simplest ingredients can turn into decadence. And these are certainly a perfect example. When you are working with such few ingredients, you want to make sure each ingredient its top-knotch. To quoth the wise Ina Garten, make sure everything you have is “good”! I got these Cortland apples from Zollinger Fruit Farm in River Heights, Utah. 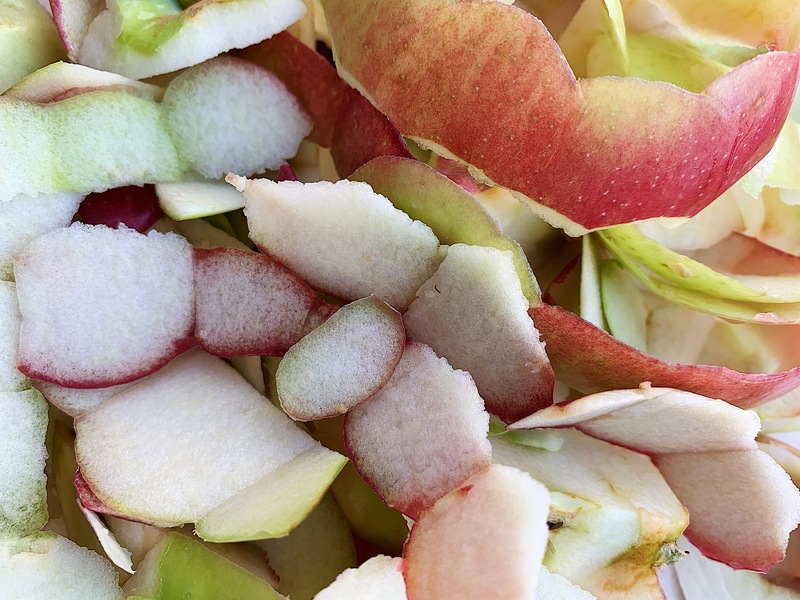 They are awesome baking apples; they are firm, tart, and not juicy. You may not be able to find the same variety near you, but your grocer or local fruit stand can tell you the best variety that they have for baking. 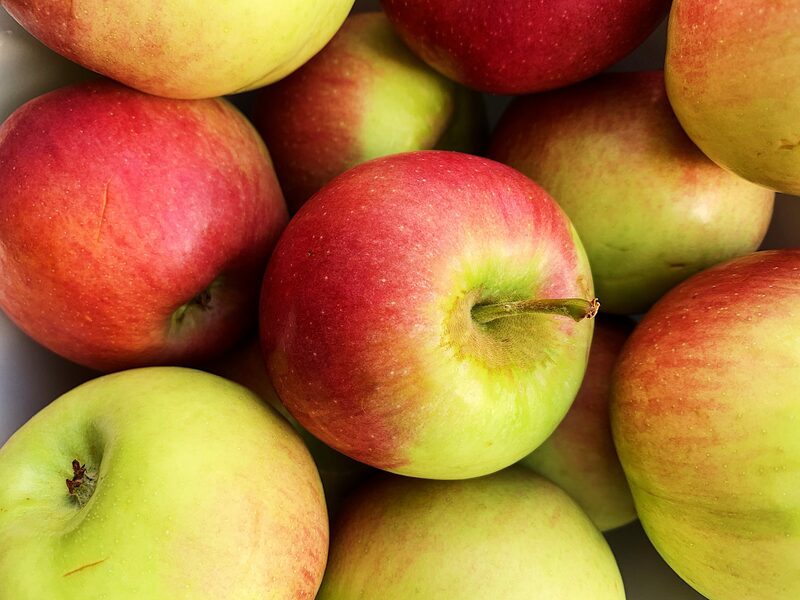 Just make sure they are awesome apples, because they’re the main star here. Secondly, I use amazing butter like Kerrygold salted butter. I just love this stuff, guys. It is literally liquid gold and adds so much flavor. And then, cream. Right? How can we go wrong here? The answer is, we can’t. I hope you grab your nearest paring knife and start cutting up those apples. Because you’re going to love this one. These are real simple and real cozy. Preheat oven to 400 F. In an oven-proof skillet over medium low heat, melt the butter. 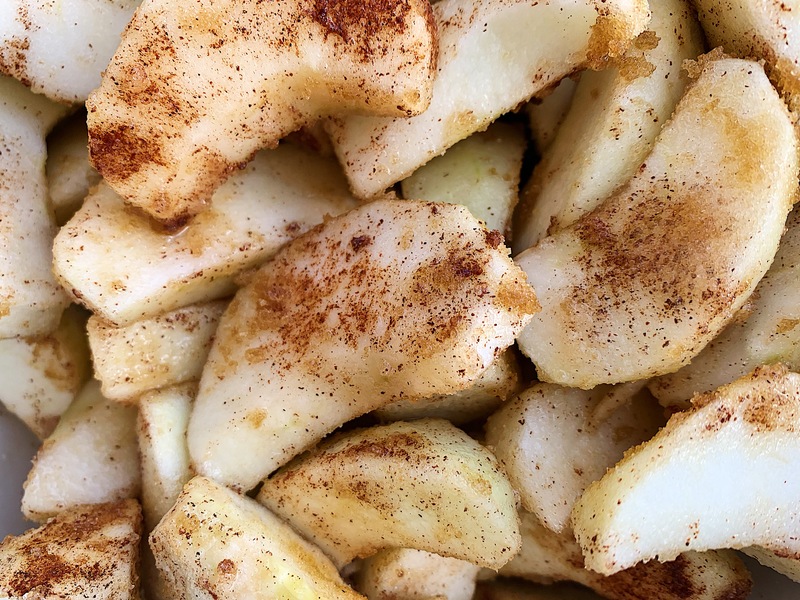 Add apples to a large bowl and add spices, lemon juice, and sugars. Toss well to coat. Add apple mixture to the skillet, and toss to coat in the butter. Bake for 30-35 minutes or until the apples are fork-tender. Remove from oven and serve warm, drizzled with cream or half and half. Enjoy!